Some examples of projects related to drones, by AUS students. 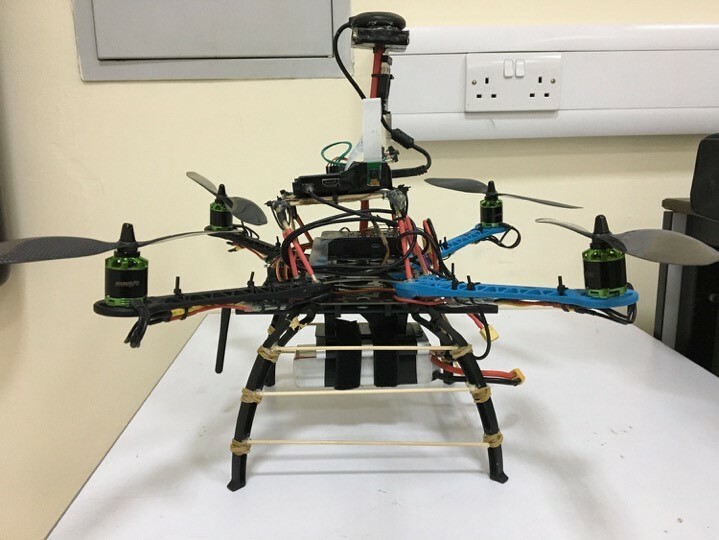 Drone based powerline insulator inspection – In this project students developed a drone capable of detecting if a powerline insulator is polluted or not. This detection is based on images taken from a drone, as it flies. This enables early warning to a power transmission or distribution utility company of an impending insulator failure due to the accumulation of dirt on it. Cleaning of insulators is a risky endeavor, which can pose significant risk to human operators engaged in this task, so the developed drone aims to eliminate such a risk. Fig. 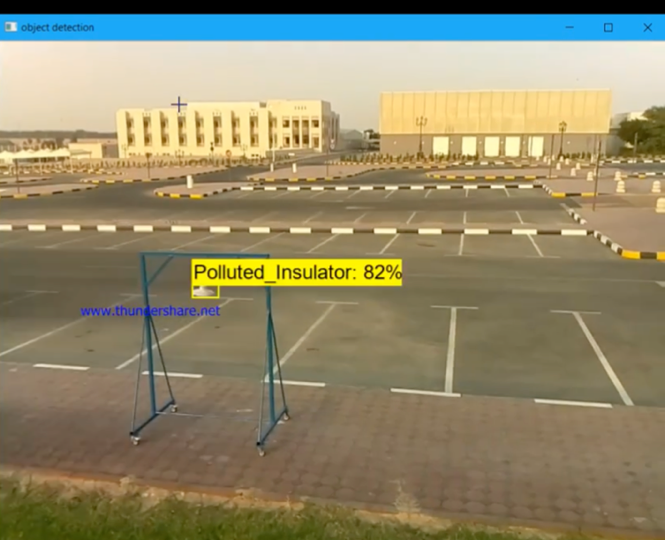 1 – Drone detects that an insulator is polluted. Fig. 2 – Student developed powerline insulator inspection drone. 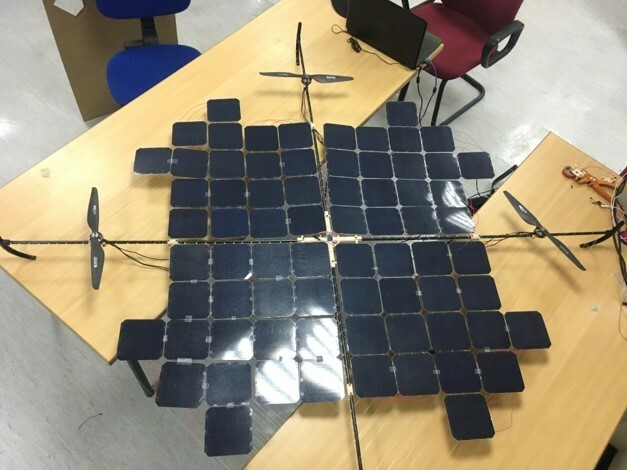 Solar Quadrotor – The objective of this project is to design and implement a solar quadrotor that can be used for aerial photography with the longest flight duration possible in clear-sky and average wind speed. Quadrotors consume energy more than fixed wing alternatives because they rely almost solely on the thrust force that is generated by the motors, which leads to a short flight time. 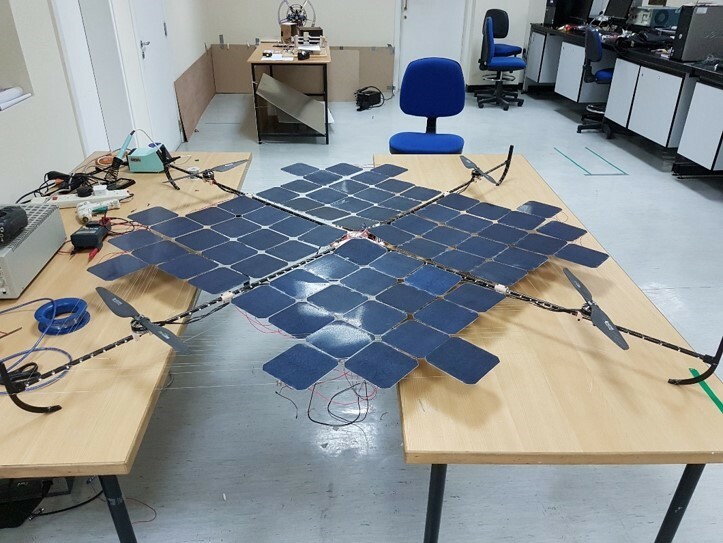 Integrating solar power into the quadrotor system is expected to increase the flight time to about 6 hours in a summer day in the United Arab Emirates (UAE). This will extend the applications of drones where they will be able to reach distant places that could never be reached using batteries. Fig. 3 – Solar quadrotor photo 1. Fig. 4 – Solar quadrotor photo 2.